Have a question? Need help? The answer is Information and Referral! 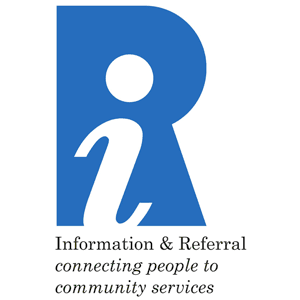 What is I&R: Community information and referral providers connect people with resources that can help them. Who Uses I&R: Everyone can use and benefit from I&R throughout their lives! The issues, questions and solutions are as diverse as those seeking assistance and span the spectrum of human experience. This may include prenatal planning, childcare, education and training, housing, transportation, employment, emergency shelters, disaster services, mental health and crisis assistance, financial aid, senior care, disease and health information, volunteer opportunities, relocation and new community orientation and much, much more. Who Provides I&R: Independent nonprofits, libraries, faith-based organizations, or government agencies at every level. I&R may be the main service of an agency or a separate program within a multi-service organization. Some I&R agencies are comprehensive in nature, providing information about all human services within a geographic area; while others are specialized, providing in-depth information about resources for specific population groups such as older adults, children, victims of violence, military personnel and their families, or people with mental health issues. How I&R Works: I&R providers create and maintain resource databases of programs and services and share the information through various channels. The databases contain vital information on community, social, health and government programs and services and are kept up-to-date by trained Resource Specialists. People may receive assistance via the telephone, in-person office visits, online searches, instant messaging, and texting. Trained, empathetic I&R Specialists assess their needs in a non-threatening and non-judgmental manner, to help them understand their situations and empower them to make informed decisions about possible solutions. I&R Specialists can also advocate on behalf of individuals who need additional support. The services they provide are free, convenient, and confidential! Why I&R matters: Accredited I&R service providers are the quickest and most reliable source for connecting people with the community services they need. People needing answers and help often do not know where to begin, so they may not get the assistance they require, or they may waste a lot of time searching through various websites or calling multiple places with mixed results. With I&R they receive the information they need in one simple step. of bringing people and services together. When individuals and families don't know where to turn, I&R is there for them.